Originally from Novosibirsk City (Russia), Kate Amangoulova has always had a passion for numbers. In 1995, Kate graduated university with a Bachelor of Science Degree in Math, and right away started a career in the field of accounting and finance. She worked in various industries including transportation, manufacturing of medical devices and food and beverage processing. In 2005 after five years of combining full-time work with studies, Kate received her CGA designation. She moved to Langley, had a son and decided to open a home office in her garage. It was so successful she moved the office to its present location in Langley City, where she has had to expand space to accommodate a growing team. In 2013 she was blessed with the birth of a baby daughter that once again changed the dynamic of the business – such is life. For pleasure, Kate loves to spend time with her family and Yellow Lab, Jasper. They enjoy the outdoors of Langley and feel lucky to call Canada’s West Coast home. Julia V. Leghorn is a Chartered Professional Accountant, she received her CGA designation in 2008 which has been her second accounting designation. Julia is also registered as a foreign tax preparer with the US Internal Revenue Service (IRS). Following college graduation with an accounting Diploma, in 1992, Julia’s accounting career began as a cost accountant. In 1997, Julia received her Bachelor’s Degree in Economics with a Major in Finance and Credit from the St. Petersburg State University of Finance and Economics. In 1999, she became licensed as an independent auditor. 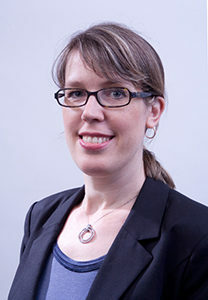 During her accounting career, Julia has worked both in industry as a corporate controller and, in public practice, as a senior auditor and public practitioner. 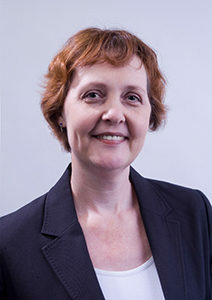 Being in the accounting profession for over 25 years, Julia has been involved in a variety of industries which has provided her with a very versatile background. As a tax accountant, Julia specializes in non-resident and international taxation. She has been involved in US cross-border accounting and taxes for over 15 years. Julia finds recent developments and unique cases involving international tax matters of great interest. She is dedicated to maintaining her expertise in this area of practice. Julia serves as a volunteer with Surrey-Langley-Delta CPA Chapter Board in the position of the Social Committee Chair. Julia adores her family, loves reading , volleyball and hosting events for friends and family. 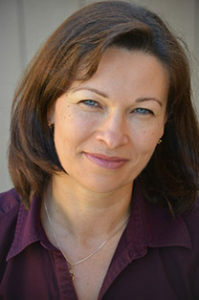 Elena Usoltseva moved with her family to Canada in 2009 from a small Central Asian country of Kyrgyzstan. She has two university degrees – English and World Economics – and diverse experience including teaching, office administration, and working as a written translator to a dispatcher. Looking for something new, Elena decided to switch to a career in finance and completed courses in accounting, business law, payroll, and computerized accounting software. She has worked as a bookkeeper and a tax preparation office leader. Elena joined us in 2013 where she handles full-cycle bookkeeping for individuals and small businesses, including payroll preparation and tax filing. She especially enjoys learning new software and sharing her knowledge with clients to help benefit their businesses. In the near future Elena would like to transfer courses to the CPA Program and obtain a Canadian accounting designation. In her free time she likes reading books, watching movies, travelling, biking, camping and fishing. 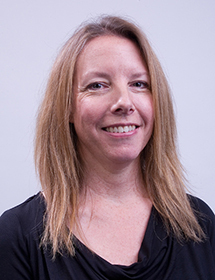 Madyline Rycroft recently joined our team, coming on board in the fall of 2015. She brings over 15 years of experience in public practice and is thrilled to be working in such a positive office environment. Madyline grew up on Texada Island, which is located just off the Sunshine Coast. Upon graduating high school, she moved to Victoria to begin her post-secondary education and completed the Camosun College Business Program. She gained a full time position at a CGA firm in Victoria and entered the CGA program receiving her CGA designation in 2000. Her ambitions to expand her public practice knowledge led her to an accounting firm in the South Granville area of Vancouver. She met her husband while working in Vancouver, they had a daughter and relocated to Abbotsford, where she worked at a firm for a number of years before finding Kate’s office. Madyline loves family, great food and good friends and strives to incorporate all three into life where ever possible. Outside of her working life, she can be found camping near a lake or river with her family, practicing yoga or reading a good book.